Welcome to St Mary’s Senior House, a happy, vibrant school where your daughter will quickly feel at home. During her time with us your daughter will benefit from a nurturing and supportive environment, which drives her to discover all that she is able to achieve academically and in the numerous enrichment and co-curricular opportunities that she will be offered. Young people of today need to be multi-skilled to succeed; emotional intelligence, adaptability and resilience are all as important as academic credentials. We will relate to your daughter as an individual and knowing her very well, we will prepare her to go on to lead a successful and fulfilling life beyond our school. Please come and visit us to find out what an individual education at St Mary’s can offer your daughter. At St Mary’s our students’ well-being is as important as academic achievement. We know that a happy child is a successful child and we actively promote an environment where your daughter will thrive. We foster positive relationships amongst the year groups as well as throughout the School. Pastoral care is provided by the Form Tutor as well as the Deputy Head but the girls know that it is in fact the collective responsibility of the whole School. Class sizes are capped at 16 and there are three classes per year group. This unique environment ensures that your daughter will be well known by her teachers and that there is smooth transition as she progresses through the academic years. There is no scope to coast in our School; your daughter will be challenged when necessary and additional support whenever it is required. Whether your daughter joins us from the Prep Department or one of our many feeder schools, she will integrate quickly into the Senior School. 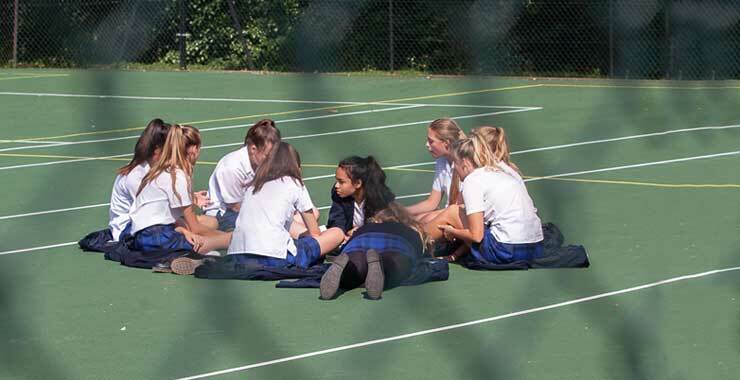 In Years 7 and 8, girls are in vertical Tutor groups for pastoral purposes which means that our new girls benefit from the support and advice of the older girls, and in turn the older girls have the opportunity to develop leadership and mentoring skills. The academic results at St Mary’s are consistently strong; in 2018 50% of our students achieved the top grades in at least five subjects. Science results were particularly impressive: in Biology 88% of grades were 7-9 (A/A*), 55% of all Chemistry papers were graded 7-9 and for Combined Science the level was 67.5% at 7-9. In 2017 more than 50% of all of the results were graded at the A*/A and 9, 8 and 7 levels and over 80% A*-B. Academic results are important; in addition, people skills, social skills, communication skills, as well as social and emotional intelligence are also essential for success in today’s world. These skills will enable your daughter to navigate her environment, work well with others and to achieve her goals. With this in mind we actively develop these skills, not only on a daily basis in the students’ lessons but also through additional activities, such as debating, PSHCEE and co-curricular programmes. The enrichment opportunities open to your daughter are wide ranging; there is genuinely something for everyone! Some of the elements are part of our curriculum, for example Enterprise days and House activities, many are optional such as Duke of Edinburgh, co-curricular clubs and Model United Nations, to name just a few. 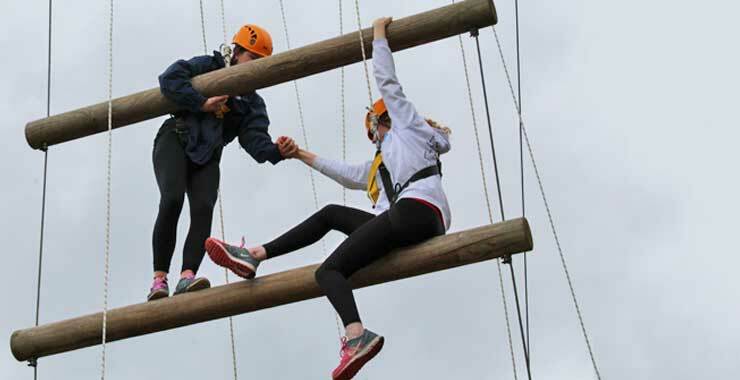 Because we feel passionately about the importance of education beyond the classroom, your daughter will be actively encouraged, through the St Mary’s Challenge and by her Form tutor, to participate in a range of activities to help her develop her own passions and interests and to discover new ones! Here at St Mary’s we follow National Curriculum guidelines with the emphasis very much on independent learning and thinking skills. 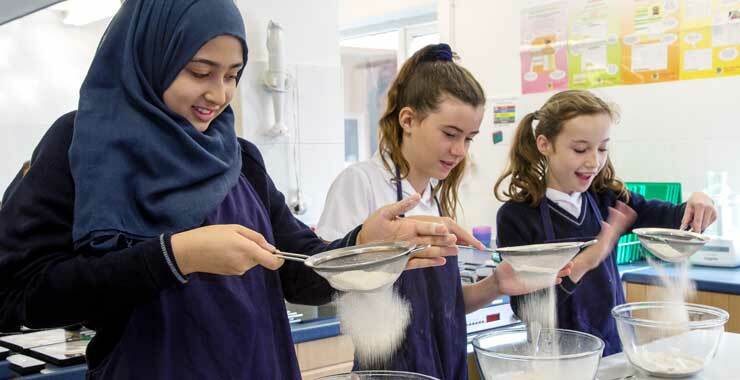 As an independent school, we have the freedom to build a curriculum that fits our girls rather than asking our girls to fit the curriculum; options groups and the timetable are built around the choices that they make. 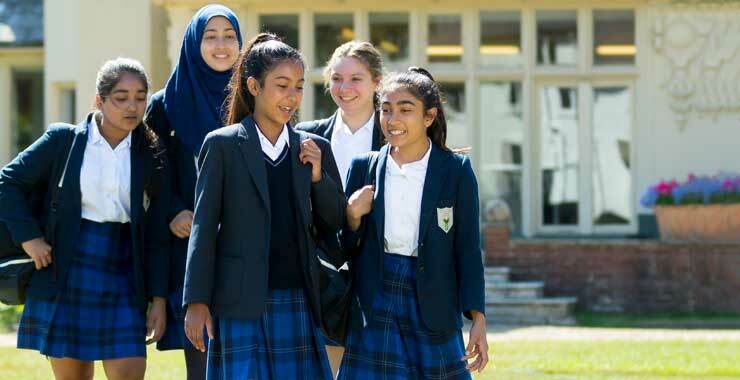 Similarly, whilst they prepare for GCSE examinations in the majority of courses, in History and ICT we consider that the IGCSE programmes offer a more stimulating opportunity and prepare the girls better for possible study at Advanced Level. Please click here for our full Curriculum policy. 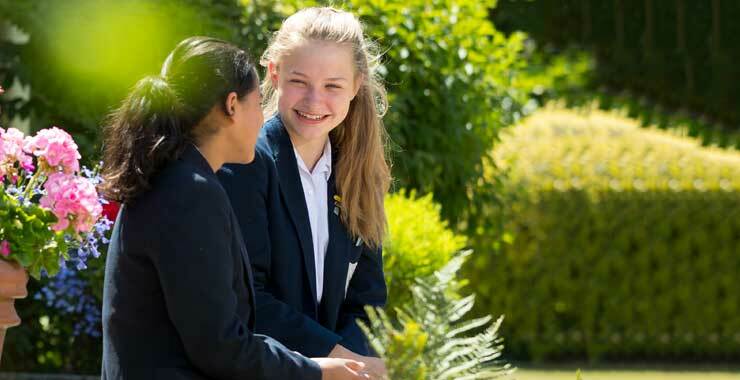 To ensure that your daughter’s options remain wide and flexible she will be able to study a full range of subjects at GCSE; Maths, English, Science, French, German, Spanish, IT, Geography, History, Religious Studies, Drama, Art, Music, Food and Nutrition, Textiles and PE. 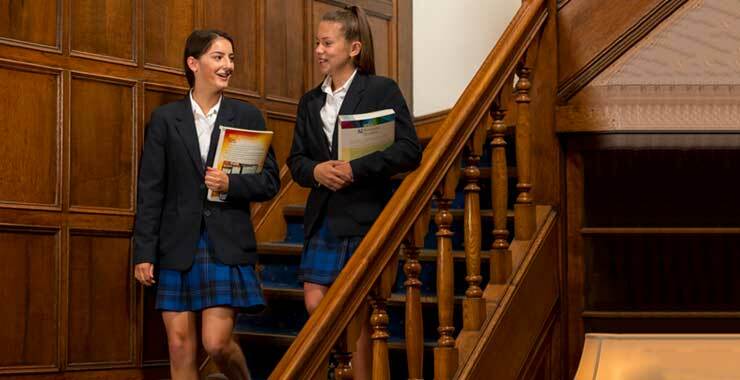 Scholarships are available for girls entering Year 7 for Academic, Sport, Art, Drama and Music. Sixth Form scholarships are available in recognition of all round academic achievement or strength in Performing Arts. Contact the Registrar registrar@st-marys.bucks.sch.uk for details. The PSHCEE programme at St Mary’s is compiled and delivered by experts in their field and carefully tailored to address the issues faced by our young people. As well as issues relating to personal well-being, including e-safety, we work with the girls to consider relationships with others, how to handle difficult situations, living in the wider world and more practical issues such as First Aid, Money Management and our system of government. The emphasis is on making informed choices, understanding risks and knowing how to access information, help and advice. 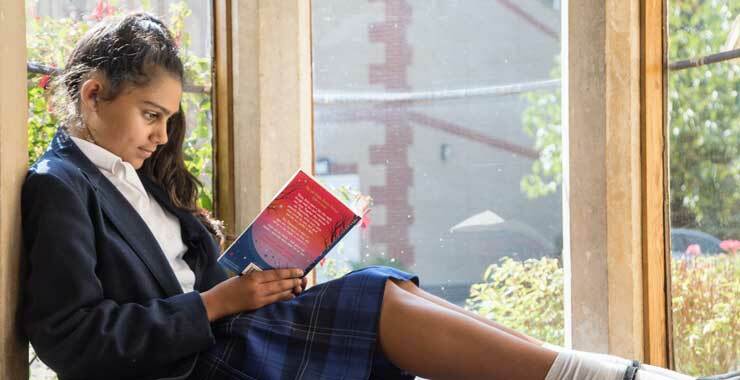 In Years 10 and 11 the PSHCEE curriculum is supplemented with Ethics lessons which give the girls further opportunity to explore and discuss their own attitudes, views and beliefs. In addition, they consider their own personal development, how to manage worry and stress in a time of examination pressure, their role as women in the world and the kind of choices they need to make as they plan for the next stage of their education. Emphasis is placed by all teachers on ensuring that every student is stretched and challenged to achieve great things. A dedicated Gifted and Talented Co-ordinator ensures that girls who are particularly able or talented, be it academically, musically, artistically or on the sports field, have ample scope to develop and exploit their skills, and that all activities fully complement our curriculum. Visiting speakers, trips to TED talks, Model United Nations, Maths Challenge, Mandarin lessons, are just a few of the many opportunities on offer.